This month it's all about pleasure for me. I'm going to read what I want and when I want. That's right. And I thumb my nose at....well....nobody really. I felt this way same time last year. I just wanted to enjoy the year's end and read whatever I wanted or felt like. 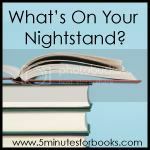 I love reading and I love reviewing books but I don't like feeling it's a chore to do so. I like just reading for the sake of reading and for the rest of this year (what little there is of it) I want to just relax and not think about reading as being part of a "to do" list but a way to escape and relax. Earlier this year I read American Lion (about President Andrew Jackson) by Meacham and found it incredibly well-written. But I have a love of World War II history and so when I found Franklin and Winston at our local Goodwill I had to contain my whoops and hollers until I came home. I dove straight into the book and hope to share (some of) my thoughts on it very soon. Excellent writing, excellent subjects, excellent life lessons. Stay tuned. 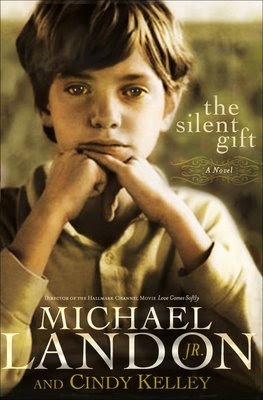 I received an e-mail from Bethany House Publishers asking if I wanted to read and possibly review The Silent Gift (in the happy interest of full pre-disclosure here). It sounds rather interesting to me and like a relaxing sort of read so I'll give it a perusal and we'll see what happens! My Life in France which I recently picked up. I know everyone and their mother has read this book but I haven't and I want to, having seen (and reviewed) Julie & Julia a little while ago. Lovely movie and I expect nothing less from the book so I'm excited about that. Lastly, I look forward to reading something by Louisa May Alcott for the upcoming 5 Minutes for Books Bookclub. Yes, I do have the title selected but it's a lesser known work (as far as I'm concerned) and I'm excited to talk about later. Curious? Well, come back on November 3rd to find out about that. In the meantime, grab something - anything! - by Louisa May Alcott and talk about it with us on November 3rd! Otherwise, I commit to nothing and no one and plan to enjoy myself immensely so....we'll see what happens! 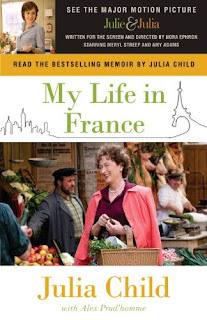 LOL I'm one of the only ones who hasn't read the Julia Child book but it's on my wish list. I hope you like it. I haven't read the Julia book either! Your plans sound great -- the titles, and the overall goal. Here's to a month full of enjoyment and free of obligation. I hope you like Julia's book. I think you probably will. It's a bit detailed in places, and I think that the movie had a better overall feel, but I think you'll like it. Those look like great reads. I haven't read any of them. Those all look like great reads. I can't wait to read your reviews! How nice that you read books about history. Always nice to marry educational reading and pleasure reading. I like doing that too. And enjoy reading whatever you want to. I'm definitely interested in The Silent Gift but I dont' want to cry :) haha! You'll have to let us know if it makes grown women (who don't cry) cry! Okay, that being said I'm going to look for all of these, I like your picks. Franklin and Winston sounds interesting! :) Nice batch of books to look forward to! I made it about 100 pages into My Life in France before I had to return it to the library (this was a year or so ago before it was a hot book). What little I read was fascinating and delightful. Much better than what I've seen of the book Julie & Julia. I look forward to hearing your thoughts. I also haven't read the Julia book (or seen the movie). I look forward to reading your review of the Michael Landon book. Enjoy your pleasure reading! I've often wondered if book reviewers really enjoy the reading or sometimes just have to do it lol. Looks like a good list, happy reading! Never read My Life in France either! I have Franklin and Winston on my TBR shelf. My goal is to read it after the first of the year to prepare to teach WWII in my AP Euro class. 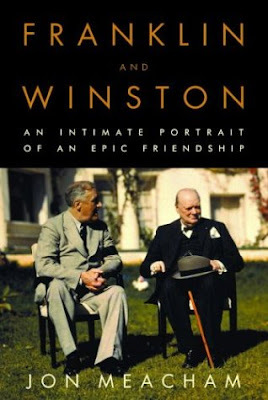 My dad, a WWII buff and HUGE Churchill fan, gave me his copy with a wonderful recommendation. I will be interested in your review of it.